“That was the only thing that made sense,” says Zaki. 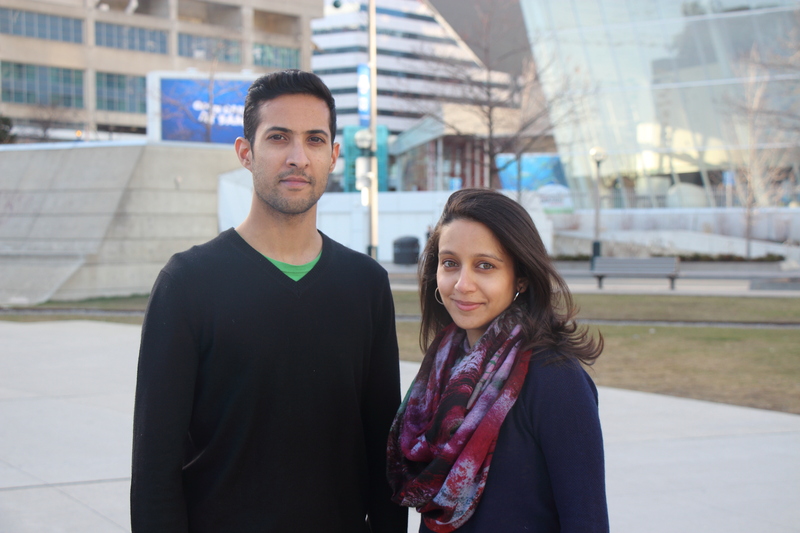 Change-makers Zaki and Syeda Patel photographed here in downtown Toronto. Photo credit: Taabish Hasan. TCF is one of the largest and most reputable non-profit organization in Pakistan, providing educational opportunities for children since 1995. To date TCF has built and is operating 1,000 schools, educating 145,000 underprivileged students in rural and urban slums across Pakistan. TCF is now leading the 141 Schools project to make this vision a reality. “141 Schools for Peace will be launching at TCF Canada’s 10 year anniversary event on April 10th at Mississauga Convention Centre where we will be unveiling a few exciting new initiatives to TCF Canada’s community members,” revealed Zaki Patel. The web campaign of 141schools.org has brought together a global community that is contributing in different ways to create a positive response to a national tragedy. Numerous people across the globe have expressed their support and pledged resources to help execute the project. So far the project has received funds for two schools and the first school is expected to be operational later this year. Most recently, GroupM Pakistan, a subsidiary of global advertising media company GroupM, also came on board to raise funds. Similarly, Pakistani artist Ali Zafar has also committed to donate all proceeds from his latest single, Urainge, dedicated to the victims of the Peshawar attack. Zaki and Syeda encourage anyone who is interested in coming onboard to visit the website, follow on Facebook, Twitter or Instagram and get involved! In due course, education is the only tool that can enlighten minds to stand against extremism and intolerance. By empowering our youth with the education that equips them with moral values and ethics, we can bring a positive change in Pakistan and around the globe. 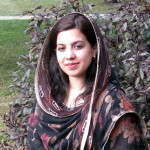 Madiha Salman is a freelance writer residing in London Ontario with her husband Syed Salman Afzaal & two kids. She is pursuing PhD in Geo-environmental Engineering from the Western University London Ontario. Through her writings, she aims to promote the positive image of the Muslim community, particularly in North America and inspire and motivate the Muslim youth.